Today my life has been crazy! I woke up early and got ready for the gym, only to fall back a sleep on the couch, and somehow during this unplanned nap I manged to remove my earrings (which I’m not allowed to remove yet), and so now I have 2 earrings with no backs lol. 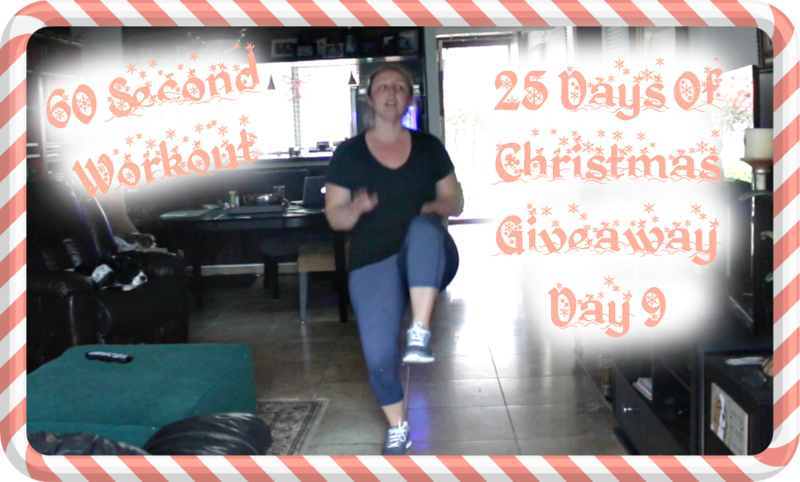 I then went to a meeting about the 25 Days Of Christmas Giveaway, and after about 2 hours there, rushed home to edit and upload today’s videos only to see that the footage for todays workout video was “corrupt” so I figured I had about 4 minutes before heading out again so I was going to do a 60 second workout, just something that could get my heartbeat up, remind my body I’m alive and then head to meeting number 2! So as I rush out the door, here is todays Main Channel Video, with 25 Days of Christmas Giveaway Day 9, and Vlogmas Day 8!